The spiritual connection between the physical heart and the intangible human seat of conscience is explored in director Su Rynard's entry into the 2005 Venice Film Festival. As a child Hope underwent an experimental heart operation that would forever link her with the man who aided the risky procedure by offering to act as a human extra-corporeal circulatory system. Now a successful pathologist preparing a lecture that attempts to make a direct connection between the heart and the soul, Hope is suddenly transported back to her childhood and the events surrounding her operation when her heart momentarily stops beating. Spurned by her vivid memories to investigate the facts behind her life-saving operation as she prepares to present her controversial theories, Hope discovers that she shares an unexplainable bond with the man that not only saved her life, but also became her caregiver and father-figure during her extended convalescence. 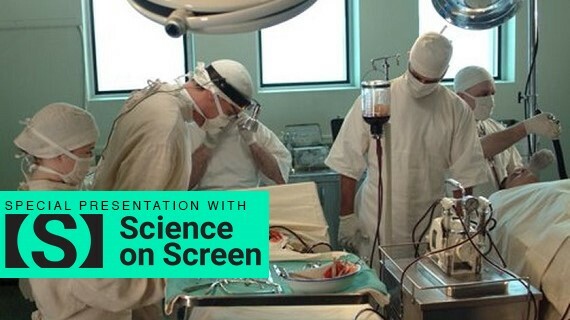 Includes the discussion "Advances in Open-Heart Surgery" with Cardiac and Thoracic Surgeons Dr. Joe Schmoker and Dr. Stewart Long III from the Providence International Heart Institute of Montana.